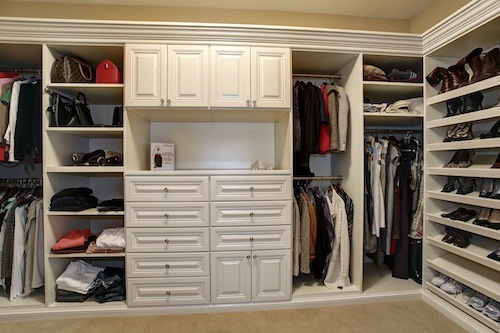 Is your closet filled to the max with stuff piled on top of each other making it a task to find what you are going to wear everyday? If so, we can help. 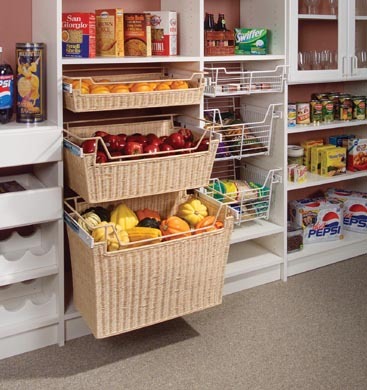 The old fashion shelf and closet rod organization is just simply not enough for many people. 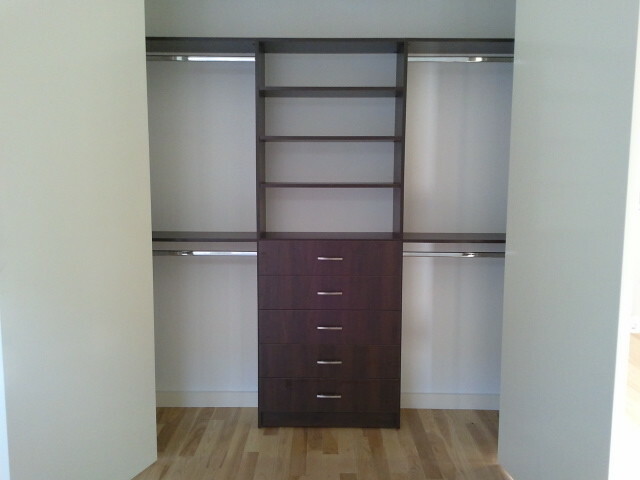 We can custom build organization units for all size closets from little single door to large walk in closets. 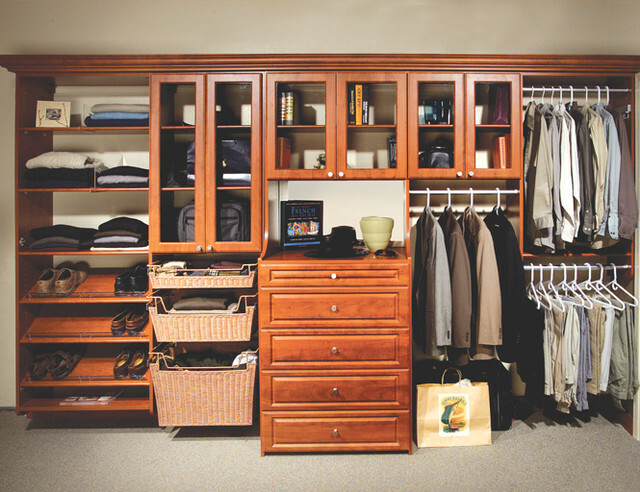 Never have to dig through your closet again, have everything in its own spot organized with draws, shelving, racks, double rods, etc. 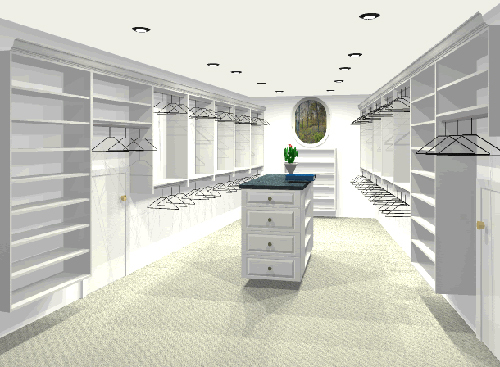 We can customize your closet to meet your exact needs or wants in most cases. 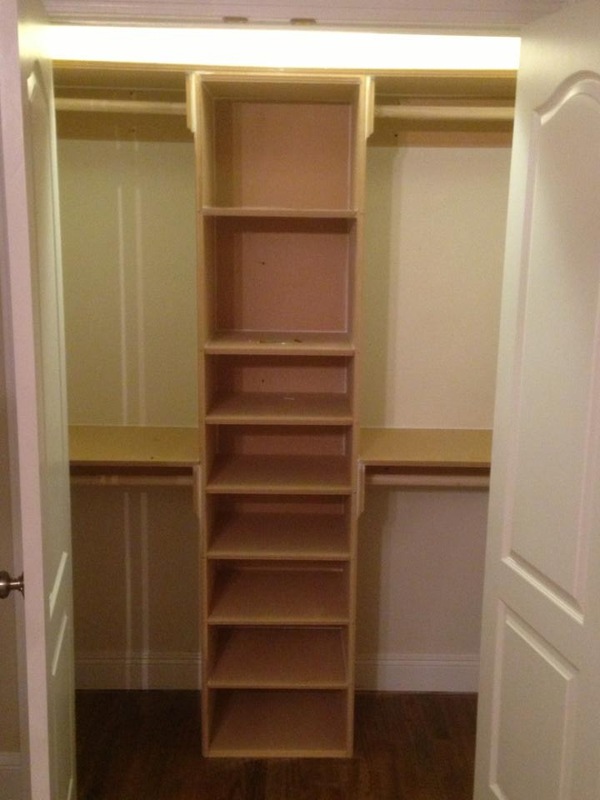 If you have tons of shoes, we can build a lot of cubbies or racks to hold them. If you have a lot of hanging cloths that you do not want wrinkled, we can build plenty rods doubled up to hold all them. 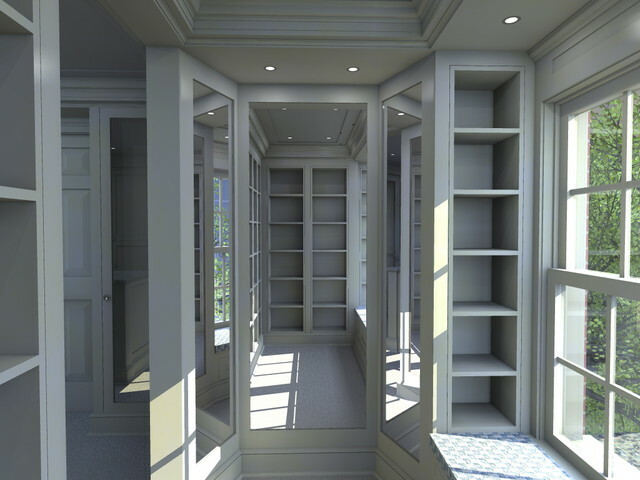 We can also either leave them open to view or hide them behind doors like an armoire or even put them behind doors with glass so that you get the best of both, being able view them easily and protect them at the same time. 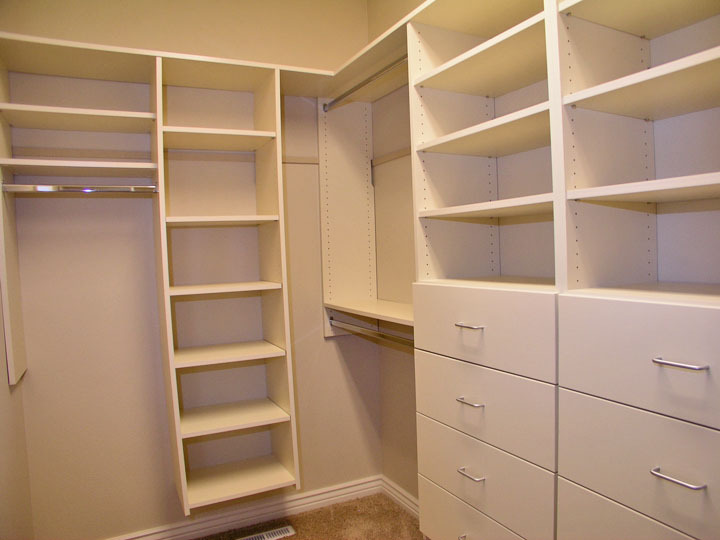 So, no matter if you have tiny closets like me, or huge walk in closets, we can help you get all your stuff neatly organized by building you a closet system that meets or exceeds your particular needs. 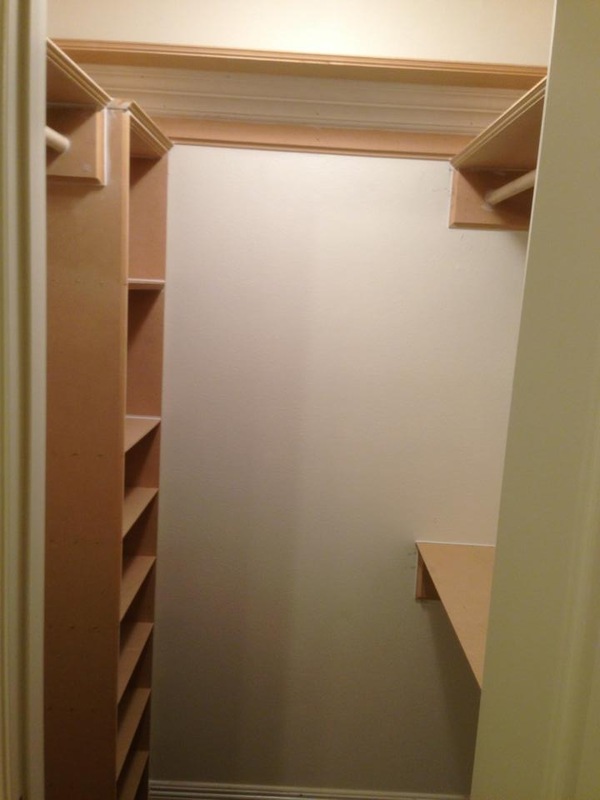 This is the most common system we build in the smaller closets because it offers the most storage. 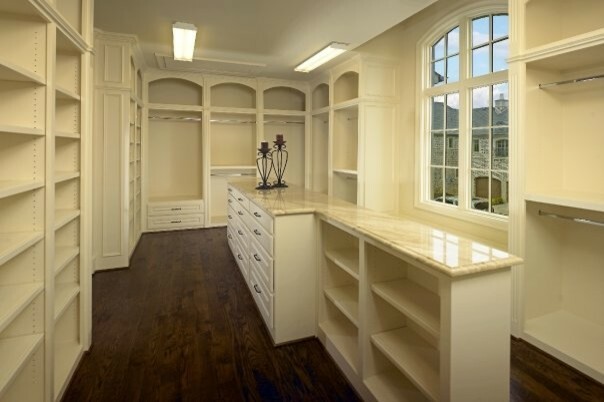 If you look at it you will get 4 rods to hang your cloths, plenty shelving or draws for shoes and underwear, and a large top shelf along with two smaller shelves for your folded clothes and accessories. 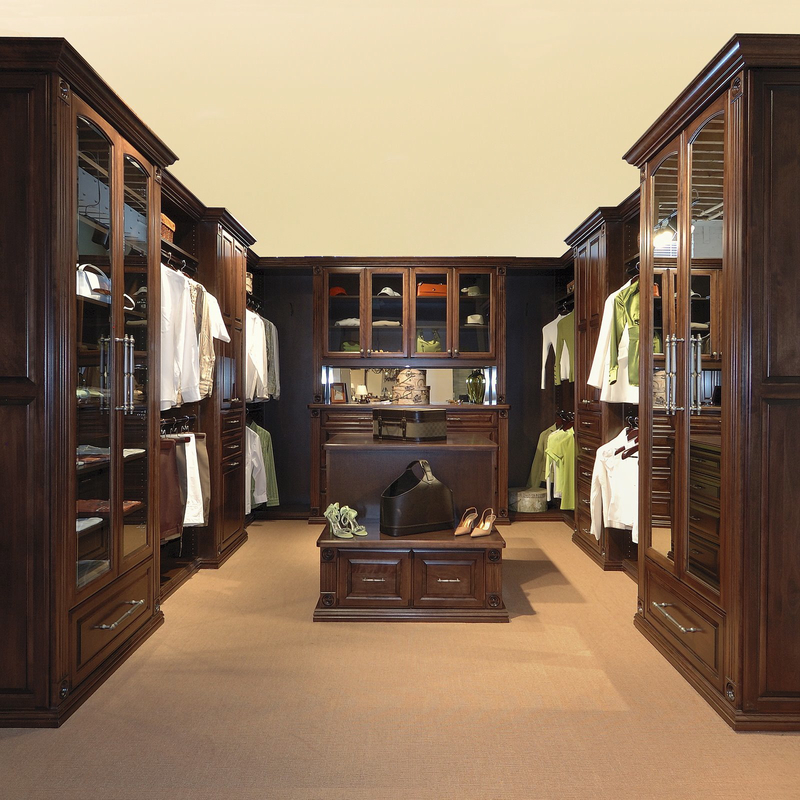 If you have a lot of dresses or longer garments, we can build a system like one of the above. These will give you a set of double rods for shirts and one single rod so that you can hang longer pieces. 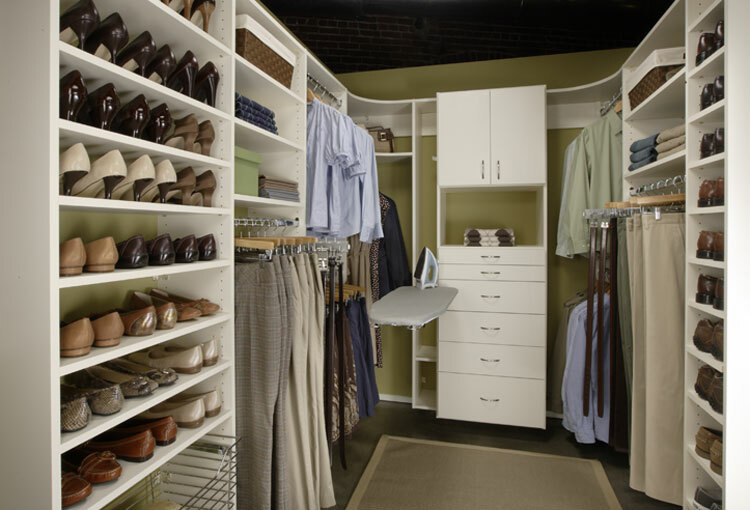 If you look at the picture to the right, this set up will give you two rods to hang shirts and shorter garments, one single rod to hang dresses and pants(this one you have to look hard for because it is kind of hind den in the pic, but its to the left as soon as you go in the closet), plenty cubbies for shoes and accessories, two nice size shelves above the double rods, and one longer shelf to the far back of the closet. Now, if you have nothing but smaller cloths, like baby cloths, we can build you a system with triple rods like the photo above on the left. 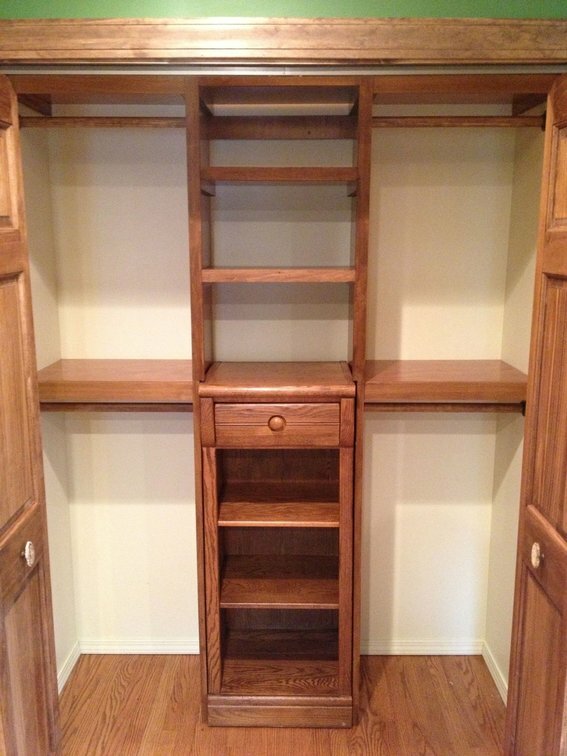 Or if you don’t need all that much space for hanging cloths, we can build you more cubby holes, draws, and shelves like the one above to the left. 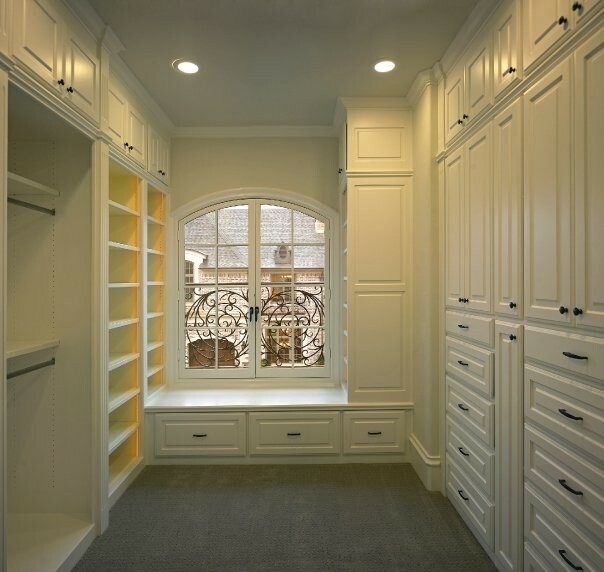 As you can tell, open closets can be built to suit pretty much any room of the house. 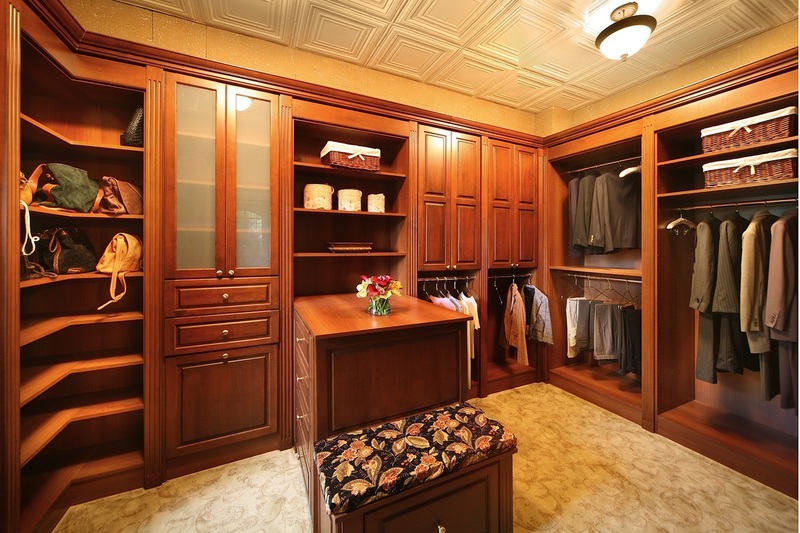 The last type of custom closets we are going to take a look at is large walk in closets. 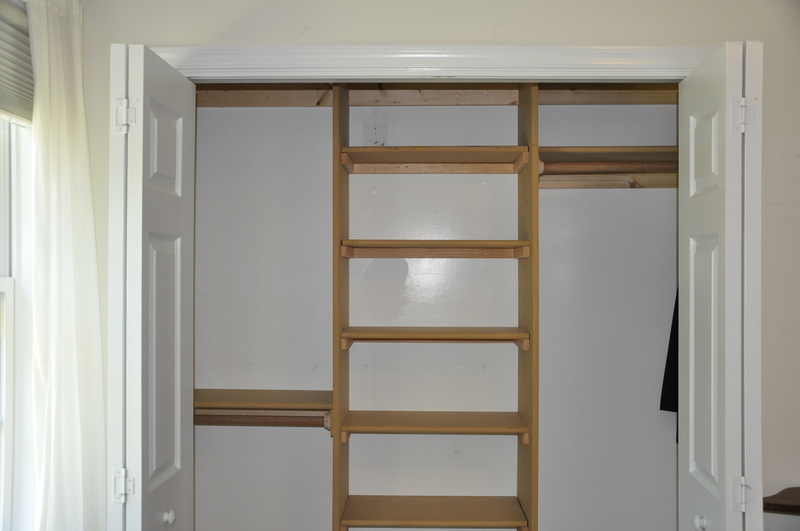 These are the best for building your own personalized closet space and give you the ability to pretty much do anything with them. 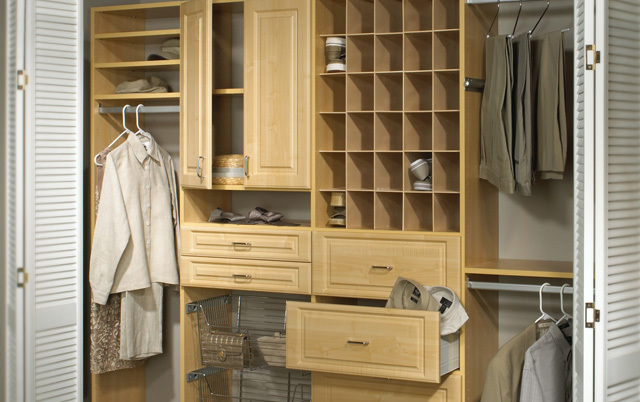 We can build any type of organization units in these such as cabinets and draws for personal items that you don’t want in plain sight, shelving systems for the 300 pairs of shoes you have, rods to hang all the cloths you don’t want wrinkled, tie racks, mirrors, vanities, etc. 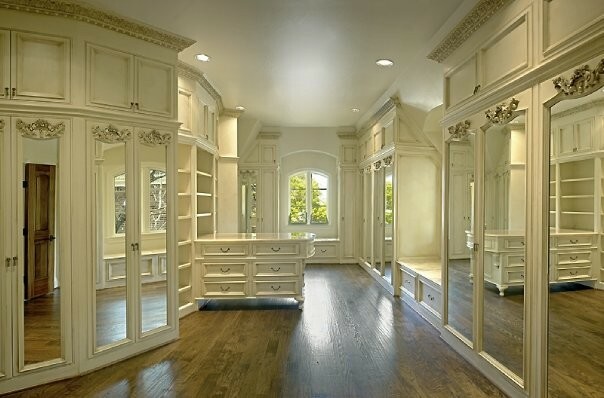 Take at the pictures below and visualize how nice it would be to have all you cloths and shoes set up all neat and organized in one of these spectacular walk in closets. 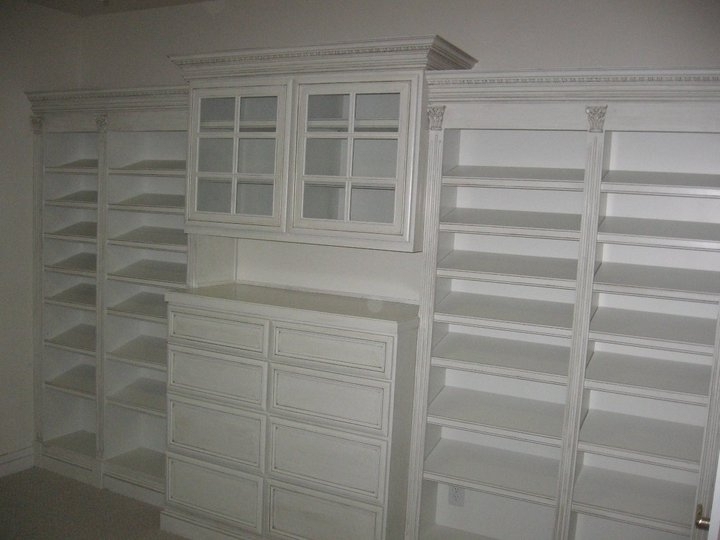 We can build these in any size, shape, or color to match your particular taste. 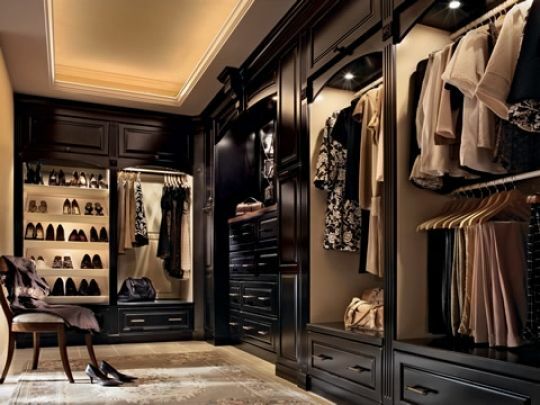 Once you get one of these you won’t be able to stay out of your closet. 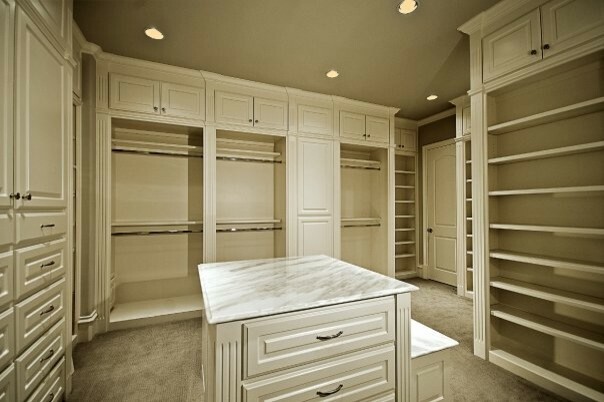 So, if you have one of those closets that are just a mess because you have more cloths and shoes than room, just give us a call. 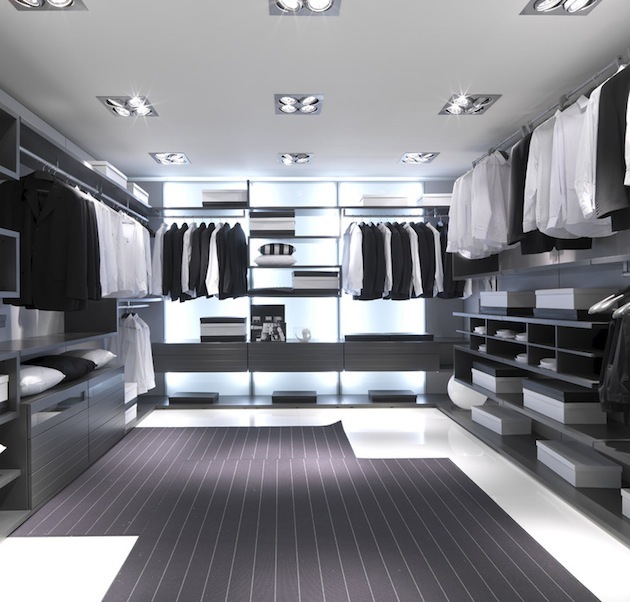 We can customize it any way you would like and get it all organized for you so that picking out an outfit to go out an eat will not be a task in itself. 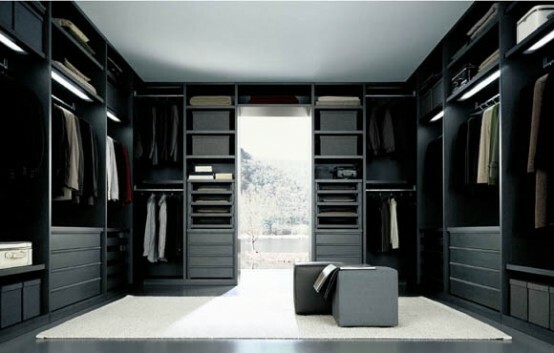 Rather a pleasant viewing of all your cloths so that you can easily grab that perfect outfit, without all the digging and headaches. 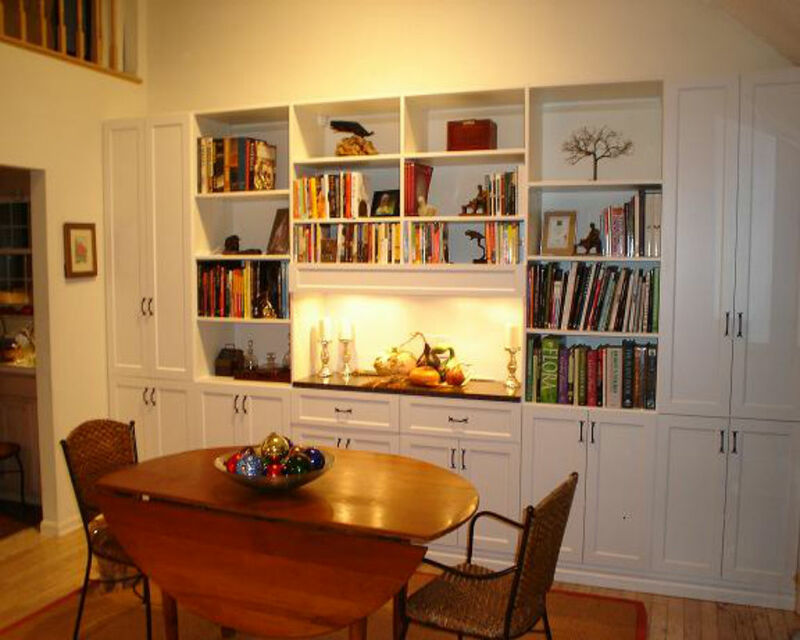 We also so simple shelving and closet rods if thats all you need. Whatever it is that you want, we can build it. Just let us know and we will come sit down and customize a system for you, whether it be a prefabbed system or a custom hand built one!